More often than not, mental health issues are accompanied by other factors that dramatically influence our lives. Family breakdown, relationship issues, grief and chronic illness can all play a role in the diagnosis of mental illness, or may appear as a result of them. One factor that often goes hand-in-hand with mental illness is addiction and substance abuse. SANE tells us that roughly 50% of people who struggle with mental health issues also wrestle with substance abuse, often because substances seem to lessen the pain of mental illness in the moment. Yet in reality, they can actually increase them over time, even leading to psychosis. 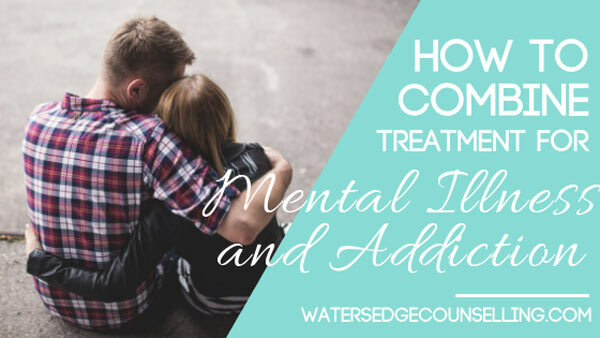 Whether substance abuse has caused mental health issues, or is an unhealthy way of coping with them, it can turn into a dangerous cycle where our mental and physical health spirals out of control. When we are in this life-threatening situation, it is futile to only focusing on treating mental illness or substance abuse alone, because they have become so enmeshed in each other. That’s where Dual Diagnosis comes in. Dual Diagnosis is a double-pronged approach to healing, where mental illness and substance abuse are treated at the same time. Depending on the severity of the situation, so patients may enter inpatient facilities full-time —we often hear this referred to as rehab. Where as some people will need a steady routine and support structure at home, where they can concentrate on sobriety and healing with the support of their loved ones. This is known as outpatient treatment. Column Health has put together this great infographic detailing the variety of treatment options we have for Dual Diagnosis. Everyone’s path to healing is different, which is why it’s so important people have flexibility in how they chose to heal. Take a look at the infographic below and see what options you have. Individual and family therapy plays an integral role in healing from mental illness and substance abuse. If you’re looking for a counsellor, Watersedge would love to support you. Just give us a call at the number below. Column Health strives to provide the best comprehensive care in the industry. Using state of the art technology, our approach to addiction combines pharmacotherapy, individual and group psychotherapies, and community building to effectively diagnose patients and get them on track for a healthy recovery. Do you want to know about treatment options for mental illness and substance abuse? Would you like support as you enter sobriety or heal? Here’s what you need to do: Contact Colleen on 0434 337 245, Duncan on 0434 331 243 or Rachel on 0422 177 193 for a FREE 10 minute consultation on how we can best help you or book online .